Mastectomy is a surgical procedure to treat breast cancer. The appropriate mastectomy procedure is decided after considering the woman's age and general health along with the tumor size, stage and grade. In early stages of breast cancer, partial mastectomy is performed and followed with radiation therapy on remaining breast tissues. Lumpectomy involves removal of only the tumor along with a small portion of surrounding tissue. This tissue along with nearby lymph nodes are examined for guiding future treatment course. While unilateral mastectomy involves surgical removal of one breast, bilateral mastectomy means removal of both breasts. When this is done, the breast tissue is also removed so as to reduce the chances of breast cancer from recurring. Prophylactic mastectomy means removing healthy breasts of a woman so as to reduce the chances of developing breast cancer. This is done in high-risk women after consultation with a specialist in cancer genetics. Women who have already had breast cancer or have a family history of breast cancer may consider this procedure to reduce their risks. This procedure is also referred to as preventive mastectomy. With existing data it is noticed that prophylactic mastectomy reduces the risk of breast cancer by 90% in moderate and high-risk women. Oncotype DX test measures the levels of specific genes that may indicate the presence of cancer cells. 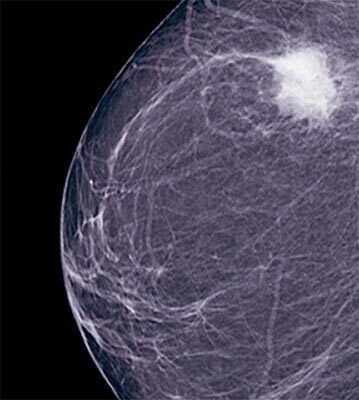 This test helps check the risk of recurrence of breast cancer. This test makes use of breast cancer biopsy and studies the patient where the cancer is hormone-receptor positive. Then the Oncotype DX test draws up a recurrence score. A high recurrence score indicates higher chances of cancer recurrence. But this has to be seen along with other factors such as the age of the patient, grade of cancer and size of cancer. This test costs about $3,500. In many cases, the Oncotype DX test helps in deciding whether a woman must go in for chemotherapy and hormonal therapy post surgery for breast cancer. Typically those with low recurrence score may not need to undergo chemotherapy. The Oncotype DX test aids in tailoring treatment to suit the individual needs of each patient.